I write this blog, in part, as a response to the impermanence of Twitter and Facebook. If I’m going to have the audacity to post publicly on the internet then I want it, good, bad or indifferent, to be permanent. I want to build something. And that’s a great way to start the year. Go read The Builder’s High. It turns out that Microsoft shipped this feature in Visual Studio 2012, but forgot to tell anyone. This could be the most important improvement to Visual Studio in years but it s been almost top-secret. Microsoft really should be shouting about this. Debugging Optimized Code – New in Visual Studio 2012. What’s really amazing is that this isn’t considered a make-or-break product feature. IIRC Watcom C++ did this around 1996. Visual Studio survived. Watcom didn’t. PlayScript is a superset of ActionScript and it was based on Mono’s C# 5.0 compiler. PlayScript is ActionScript augmented with C# 5.0 features. Zynga’s PlayScript allows developers that have some ActionScript/Flash code to bring their code to any platform that supports the ECMA Intermediate Language (Microsoft .NET and Mono) and blend it with other .NET languages. 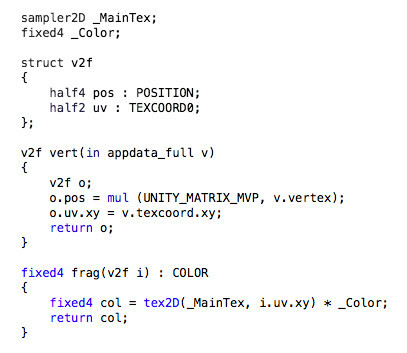 But the PlayScript has a fabulous feature, it allows mixing code in both C# and PlayScript in the same compilation unit. There have been a bunch of interesting new languages on the .NET platform which haven’t reached critical mass. Are there enough ActionScript developers and code out there to make PlayScript viable? In my opinion, WebGL shouldn’t be solely used for full-page 3D applications like the majority of examples we see online. It could also be integrated into regular web pages, in combination with other technologies and content.